So its crunch time…the Lucketts fair is T-Minus five days, it is down to the wire and I am getting the final touches ready! It has been a while since my last post. Lets just say I have been busy! I have so many things I would love to show you, but I just can’t fit it all in before the fair. But don’t worry. I plan to take lots of pics at the fair and show you what it is all about. Last year was Amanda’s and my first time as vendors. It was fun, but we really didn’t know what to expect. This year we have a better idea and had more time for fun details!As most of you know I love to give things away. I love to get crafty, and put little favors together. So that is where the Lucketts top 40 comes in. 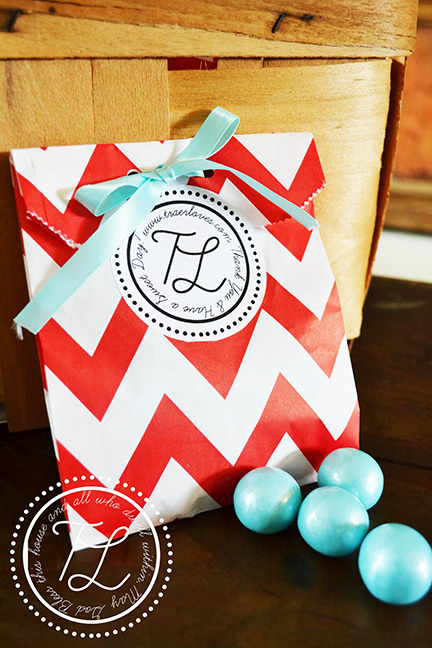 This year I will be giving away these cute little chevron bag favors with blueberry gum balls inside! And the first 40 people to stop by our booth will get one! I know you all can’t wait to get your hands on one. So if you read my blog and are coming to the fair, let me know, and I will save you one until you can stop by the booth. And you have probably noticed something similar about all of the pictures I am showing you today? Yes, it is pretty obvious right? 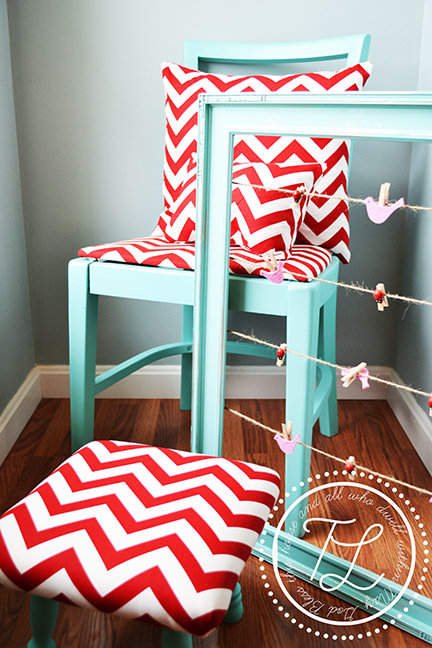 Turquoise and chevron will be sprinkled around our space. We wanted to stand out a bit this year, but still be cute! save one for me, girlfrend!!! can’t wait to check out the fair! I can’t wait to see the booth photos! And by Sunday I know you will have sold it all! 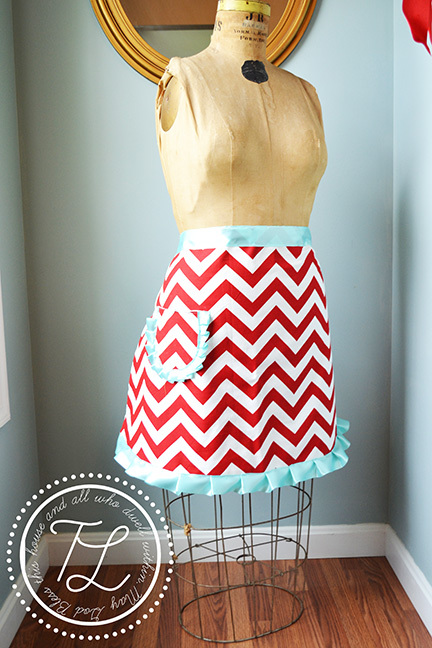 I totally saw you guys running around in your cute aprons and walked by your booth a few times! I had no idea you guys sell at the Stylish Patina Barn, but had I known I would’ve totally stopped by to chat! I was a vendor too and I work in the Stylish Patina shop if Fall Church with Kelly. Hope you had a great weekend! Thanks! Sorry we didn’t get to meet, hopefully our paths with cross again!